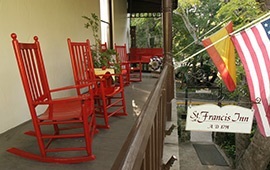 For romantic getaways and unique vacations, St. Augustine bed and breakfast Inns are excellent accommodation options when it comes to staying in the Nation’s Oldest City. 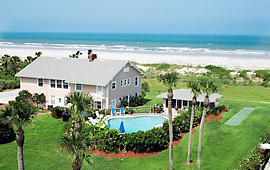 Oceanfront on St. Augustine Beach, Beachfront Bed & Breakfast is conveniently 10 minutes to Historic St. Augustine. The stunning ocean views, tranquil atmosphere and spectacular sunrises make this the perfect romantic hideaway for Honeymooners, anniversaries, birthdays and special occasions exclusively for guests over 21. 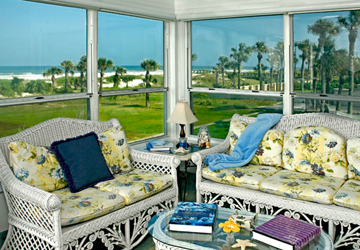 Choose from our spacious suites or separate cottage accommodations. 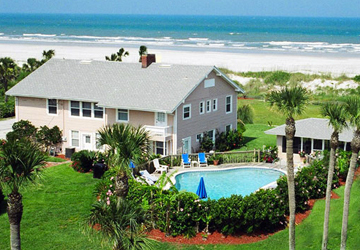 Our luxury amenities include an outdoor heated pool and Jacuzzi, delicious hot, full breakfasts, and beach access. 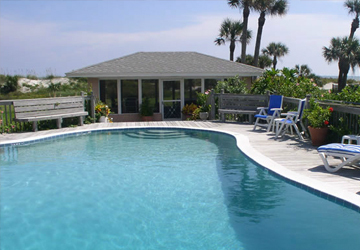 Our 3 acres on the ocean, combined with our friendly ambiance and personalized service, makes Beachfront B & B a place where dreams come true. Most of our B&Bs are situated on the cobblestone streets of the Downtown Historic District and bayfront area, which is a short walk from shopping, dining, and attractions. Full of comfort and character, many of the bed and breakfasts are situated in original, historic homes that date back to the 19th century, while some are even older. 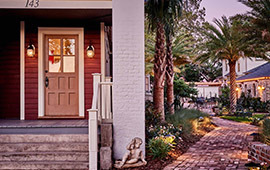 Though most of St. Augustine’s B&Bs are focused on short-term accommodations, some have small private villas that are suitable for long-term vacation rentals.Whether it’s the charm of downtown or the sandy shores of the beaches, you can find your perfect, cozy location through our bed and breakfast listings. 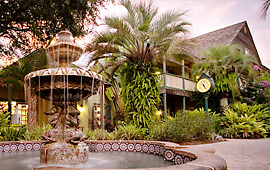 Romantic rooms & suites, courtyard with lush gardens, balconies, whirlpool tubs, gourmet breakfast, fireplaces, quiet location, historic district, inn built in 1791, free parking, WiFi, near everything, antiques, solar heated swimming pool. 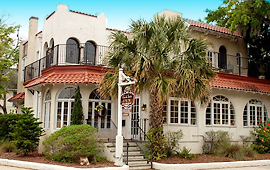 Central location in St Augustine's historic district, whirlpool tubs, hearty breakfast, balconies, free parking, romantic rooms, historic bed and breakfast, WiFi. Each comfortably appointed room has individual personality and character, as you would expect in a residence built over 100 years ago. Private baths and other modern comforts are charmingly incorporated to make guests feel right at home. 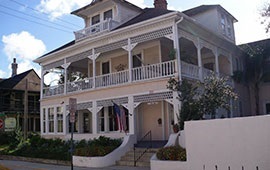 A St. Augustine Bed and Breakfast where you'll Experience History, Elegance, and Comfort. 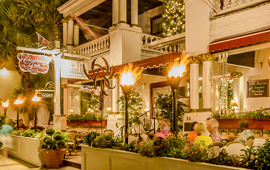 This three-story house features 14 unique, elegant rooms and suites with a variety of stunning views which may include the bay, the Inn's saltwater pool, the courtyard with Koi pond, or the charming, historic streets which surround the Inn. 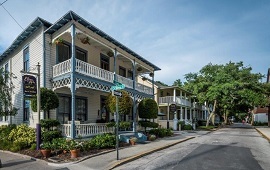 Experience historic St. Augustine from just outside the front door, while enjoying attentive service and comfortable accommodations inside our circa 1920's historic inn. Now an inn, we offer 8 charming rooms with king or queen size beds with private baths, charming porch spaces and brick courtyards. This prime location, within walking distance of shops and attractions, makes for a perfect get-away. 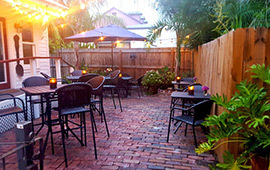 Located in the Heart of the St. Augustine Historic District with on-site parking right in the backyard. 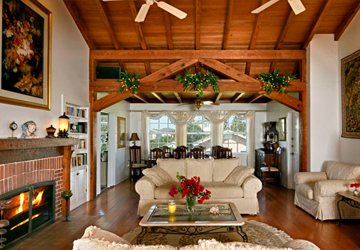 The modern vintage Inn boasts 11 guest rooms, and the industrial chic Cottage has 3 guest rooms with private entrances. Guest rooms feature elegant modern en suite baths. 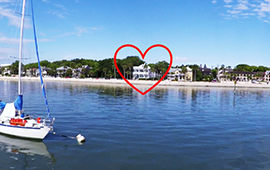 Voted the BEST B&B in St. Augustine, 2 years in a row – 2017 & 2018!